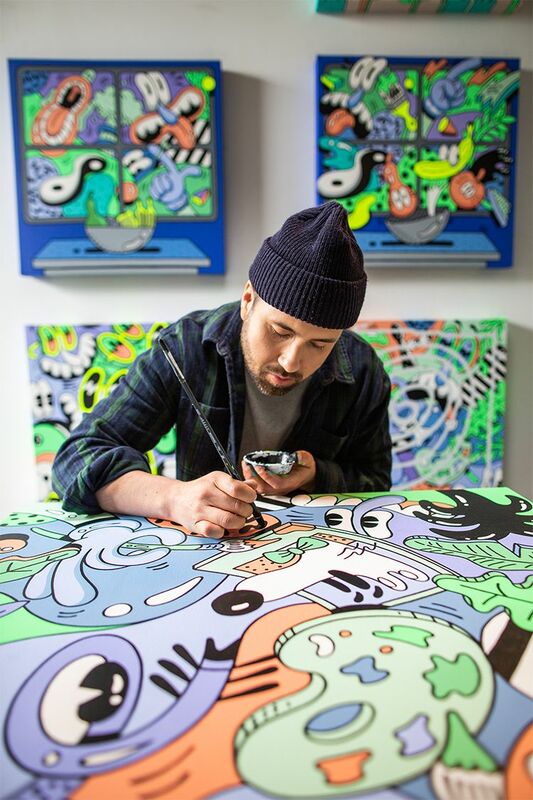 Artist Steven Harrington is a Los Angeles, California native known for his bright, iconic designs. 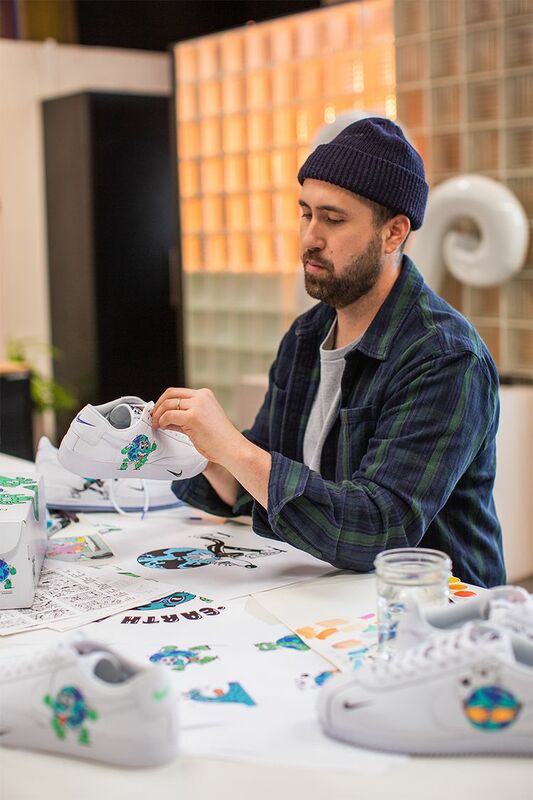 Steven’s style takes on a uniquely Californian psychedelic-pop aesthetic, often incorporating his signature dog and palm tree characters. The relationship between Steven’s life and nature is one that he tries to celebrate through his art, often searching for his inspiration outdoors, using the diverse landscape and LA’s thriving mix of cultures as his muse. 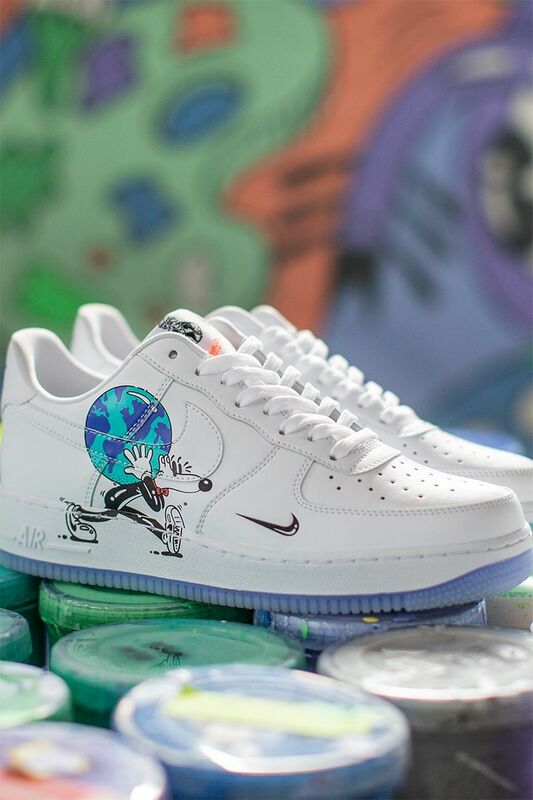 The collection includes an Air Force 1, Blazer and Cortez all using the sustainable material, Nike Flyleather, made with at least 50% leather fiber. Flyleather is an innovation that was born out of the challenge to evolve leather into a more sustainable material, while preserving the things people love about leather: the look, feel and even the smell. 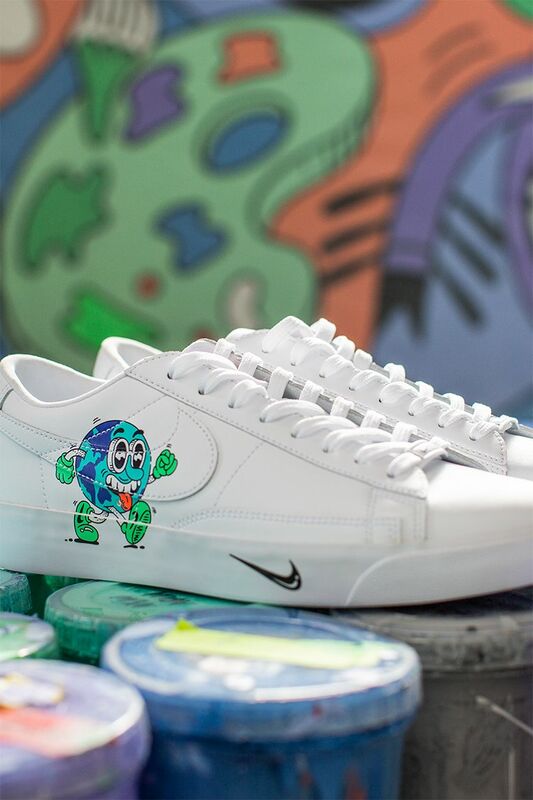 Celebrate Earth Day Every Day with the Nike Flyleather Earth Day pack.